Blowout Sale! 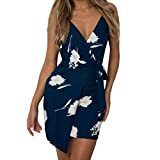 Up to 63% off on Dresses at Felicianeo. Top brands include Woman Within, Dean Fast, Gloria&Sarah, Kiyonna, Nemidor, Only Necessities, Bodycon4U, Eternatastic, Comila, Lalagen, Le Bos, Maketina, Allegrace, Rotita, HODOD, MayriDress, Roamans, & IN'VOLAND. Hurry! Limited time offers. Offers valid only while supplies last.